on re-employment on or after 1/1/2004. (2.5) Will a Government servant who joined Central/State/Autonomous Body before 01.01.2004 be eligible for pension under CCS(Pension) Rules, if he takes up another appointment in Central/ State/Autonomous Body after 01.01.2004 by submitting technical resignation in his previous organisation? 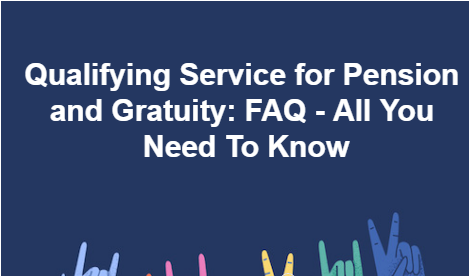 FAQ & Doubts regarding Qualifying Service for Pension and Gratuity have been cleared. All the Pension and Gratuity related queries are answered.